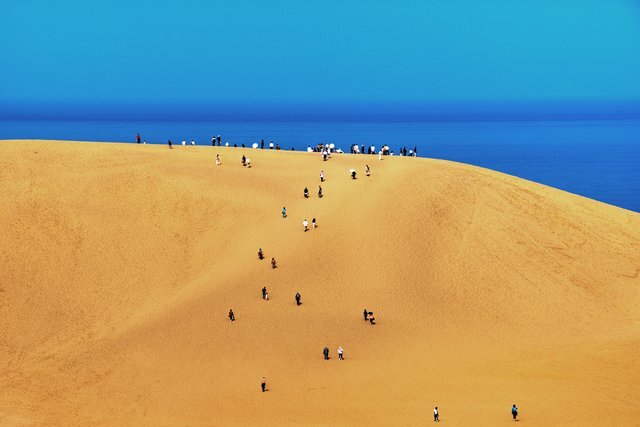 Each year, around two million visitors, mostly from within Japan and East Asia, visit the Tottori Sand Dunes which are located near the city of Tottori in the Tottori Prefecture of Japan. 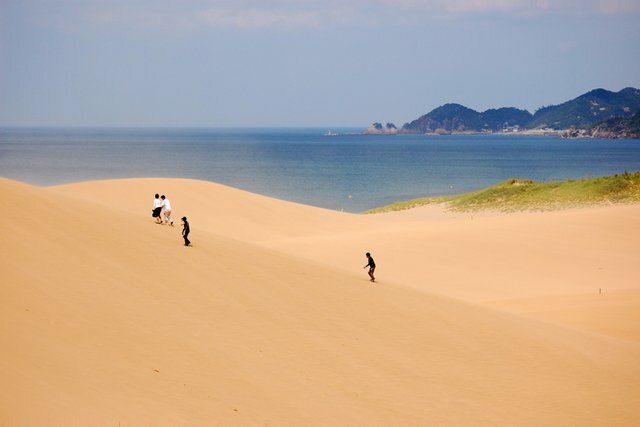 The Tottori Sand Dunes form the only large dune system in Japan at over 30 km². 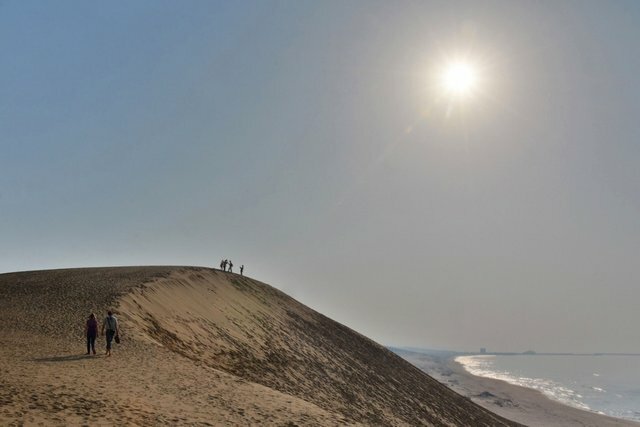 The dunes were created over time by sediment deposits carried from the Chūgoku Mountains by the Sendai River into the Sea of Japan. 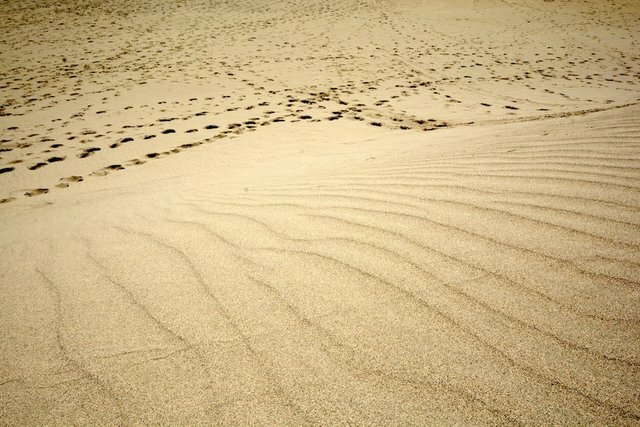 The sea currents and winds helped bring the sand from the bottom up onto the shore, where the wind constantly rearranges their shape. 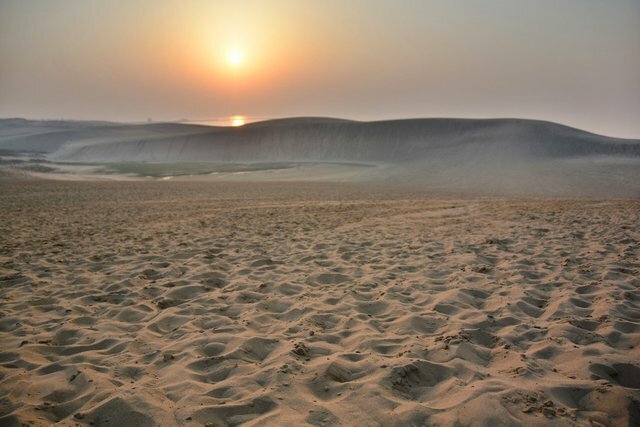 The dunes have existed for over 100,000 years, but the area of the dunes has been steadily decreasing due to a government reforestation program following World War II. 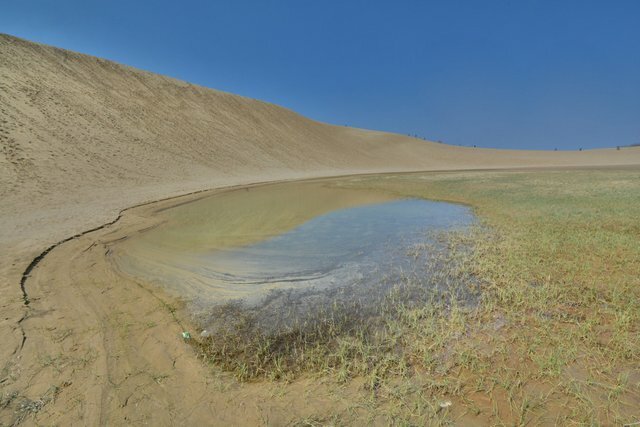 Additionally, concrete barriers erected to protect the coast from tsunamis have disrupted the currents responsible for bringing the sand to shore. 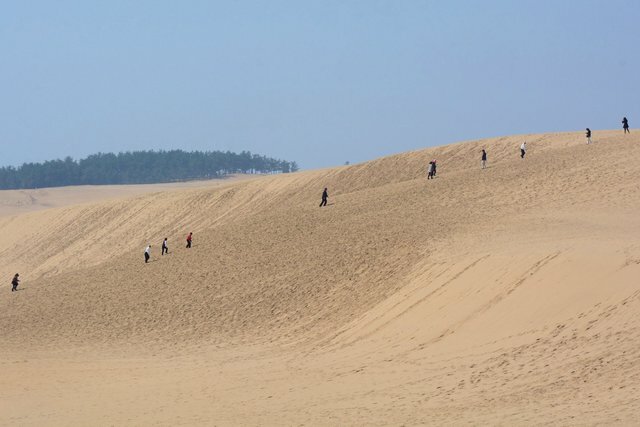 Japanese authorities have adopted measures to stop the shrinkage of the dunes, partly because they attract a significant amount of tourism to the area. 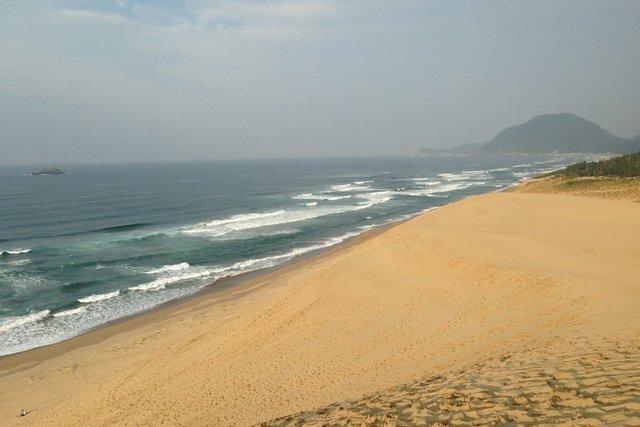 The Tottori prefectural government has attempted to dump sand off the shore near the dunes in the hopes that it will wash ashore, as well as employing the manual removal of encroaching grassy areas. 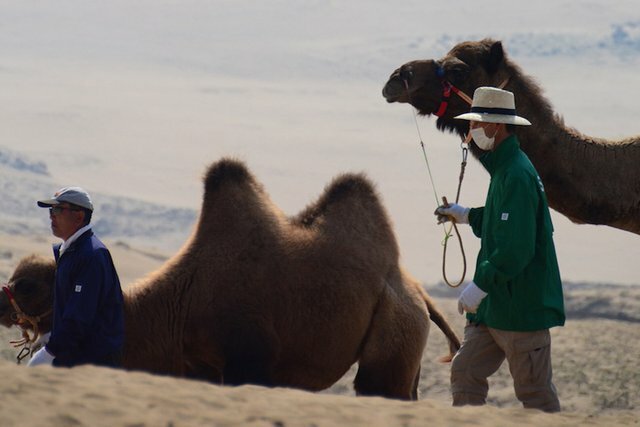 The lasting ability for these efforts to protect the dunes is as yet unknown. Source: Wikipedia, WikiMedia Commons, Love Your Daily Hell, Japan – a Foreigner's View, and Glamour Stylish Life. 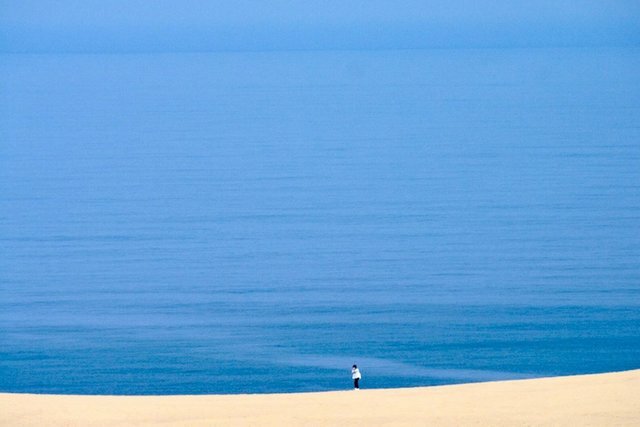 One would never have guessed this is Japan, and I even lived there for 5 years, excellent photos! 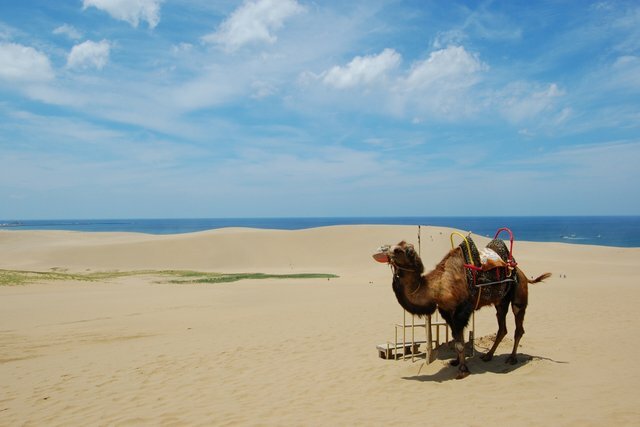 It really is hard to believe that this desert is in Japan @daveks. It might be worth the visit next time you're in Japan. Makes me want a dune-buggy. Not to disturb anything... just to have it. I've always wanted one, as far back as I can remember, I think. 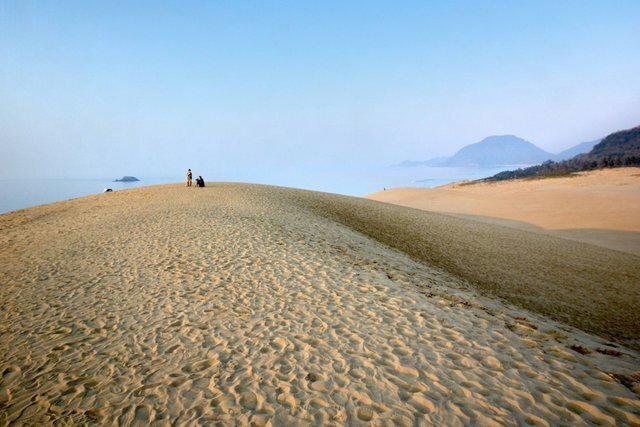 A dune buggy sounds like a heck of a lot of fun @papa-pepper. You're making me want a dune buggy now as well.